Those who live here know that the sunrise from atop Quandary Peak, the alpenglow of the Gore Range and mountain valleys flush with Columbine are at the core of Colorado’s character. Coloradans and tourists alike flock to our mountains and open spaces to ski, hike, mountain bike, hunt and fish, among many other activities. In the process, they add billions to our state economy each year. It’s important that we sustain this natural resource and economic driver. Generations of Coloradans have understood this. Beginning with the Wilderness Act in 1965 to the Colorado Wilderness Act of 1993, and most recently, the hard fought victory to designate Browns Canyon as a national monument and to protect the Hermosa Creek Watershed, Coloradans have united behind preserving our state’s iconic beauty, wildlife and recreational resources. We’re continuing that legacy today. Earlier this year, I introduced a bill that designates 40,000 acres of pristine peaks and surrounding valleys as wilderness, and another 18,000 for management as recreational zones. These areas that stretch along the Continental Divide in Summit and Eagle counties are the iconic playground of our state. This Continental Divide Wilderness and Recreation Act — named by a constituent in our first-ever Name Your Own Bill contest — would make certain that we are protecting the breathtaking spaces that add billions to our state and local economies each year and help form the core of our Colorado identity. Specifically, the proposal would ensure access and enhance opportunities to the world-class hunting, fishing and backcountry snow sports Colorado is famous for by creating new wilderness areas within the White River National Forest, such as the Williams Fork Mountains, Tenmile Range and Hoosier Ridge, and by expanding the existing Holy Cross, Eagles Nest and Ptarmigan Peak wilderness areas. The plan would also protect and expand access to bike trails by designating nearly 18,000 acres across Tenmile and Porcupine Gulch as Special Management Zones. To put this into perspective, the White River National Forest — one of the most popular national forests in the country — attracts millions of visitors per year. This is the lifeblood of our economy. 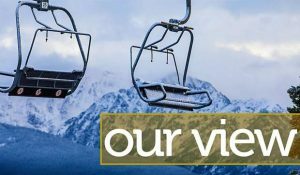 From equipment rentals to resort staff, tourism and outdoor recreation generates over $13 billion in consumer spending and creates over 125,000 jobs statewide. In 2013 alone, Colorado received $994 million just from the state and local taxes on outdoor recreation spending. Equally important are the wildlife, watersheds and unique ecosystems this legislation would protect. These lands are home to a wide range of protected species and house some of our most treasured resources. Carefully crafted over six years with input from dozens of stakeholder groups — including Vail Resorts, the Outdoor Industry Association, the International Mountain Biking Association, Colorado Springs Utilities, the Colorado Backcountry Hunters and Fishermen, Conservation Colorado and affected municipalities, small businesses and utility providers — the Continental Divide bill reflects the same spirit of grassroots collaboration that helped Browns Canyon and Hermosa Creek finally achieve federal protections last year. It’s a bill everyone can get behind. Getting Congress to act on Colorado’s commitment to protect its public lands is the hard part. But the victories in Browns Canyon and Hermosa Creek are evidence that patience and persistence pay off. That’s why last month, I invited Rep. Raul Grijalva, the top Democrat on the House Natural Resources Committee, to tour these iconic landscapes first-hand and hear from locals about the importance of protecting these proposed wilderness and recreation areas. The area’s beauty combined with the overwhelming local support for the bill made a lasting impression on my colleague, who indicated his commitment to making this project a priority. With Grijalva’s support and my new seat on the House Natural Resources Committee, I’m optimistic that we can move this bill forward this Congress. The varied and vocal support for this bill reflects Colorado’s commitment to preserving its open spaces; passing this bill and protecting Colorado’s Continental Divide is the next step. 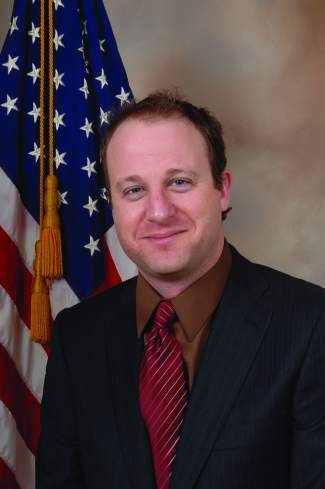 U.S. Rep. Jared Polis represents Congressional District 2, which includes the eastern part of Eagle County.